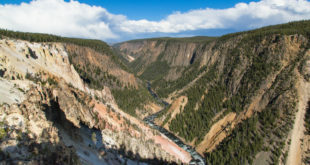 Representatives from the Greater Yellowstone Coalition and Public Employees for Environmental Responsibility lamented the possible shift, saying that losing Wenk would be losing an invaluable advocate for wildlife and environmental issues in the park. He even whipped out his laptop to read the email out loud. In part, Wenk said he was sure employees had heard stories about his status, but no change has occurred. Each presidential administration reviews the positions of executive service individuals, but a process must be followed, including talking to the employee. Wenk added that at his age (66) he’s more likely to discuss retirement than relocation. Wenk has served with the NPS since 1975, when he joined the agency as a landscape architect in Denver. He later served as a landscape architect in Yellowstone between 1979 and 1984. From 2007 to 2011, he served as deputy director of operations at the NPS, as well as a stint as acting director of the NPS in 2009.